How to post a video on Facebook successfully? I've tried several times, but I can't share clips to Facebook. It goes through the whole process, and when it's done "uploading" it comes back with an Error Message - Unknown Error. Any help about this? MacX Video Converter Pro -Best all-in-one solution to fix all the Facebook not uploading video problems: convert video to Facebook compatible video format like MP4, MOV, AVI, FLV, MKV, AVCHD, etc. and compress video file size to Facebook accepted file size via video conversion or video editing (trim, crop, parameter adjustment) features. The built-in High Quality Engine ensures the video compression with no quality loss. Forums are flooded with questions about how to publish a video to Facebook as many users have come across with various Facebook errors similar to those mentioned above. There are many reasons responsible for those errors, including Internet connection, site errors or something else. But in most cases, it might be your video format incompatibility issue to Facebook. In other words, to make clear how to post a video on Facebook successfully and smoothly, you have to first of all make sure that the video you are trying to post meets Facebook's requirements on the size, time, and video file formats. You can go for Google to get the full Facebook supported video formats and look below solutions to troubleshoot those "unable put video to Facebook" problems. If you meet the error of Facebook not posting video, then you should think the possible reasons. When we get the right reasons, then we have bigger chance to fix Facebook video upload error in one step. Generally speaking, the potential reasons are Facebook video format, video size, duration and video parameter settings. And the Facebook accepted standards are below. Check if your video is qualified or not. Best video format: MP4 (codec: H.264), for MP4 keeps a good balance between video quality and file size, suitable for FaceBook HD video footages publishing with a little bit longer video. To convert your video to MP4 file format, please resort to a solid MP4 video converter for MP4 video conversion and compression. The maximum size of all the videos posted to Facebook shall be no greater than 1.75GB. No minimum video size is applied. And if your video file is seemingly larger than what you want, you can apply a reliable video compression software to compress and shrink video file size without lossing any video quality. The common standard video longer than 20 minutes in length will get the FB upload error message. As for 360 4K VR video upload to Facebook, your video length should be maintained 6 mins or shorter. Aspect ratio, also called dimension, refers to the width and height of the video screen. The dimensions of the Facebook video shall be between 9×16 and 16×9. To tackle all the Facebook not uploading video troubles, just one tool is enough. 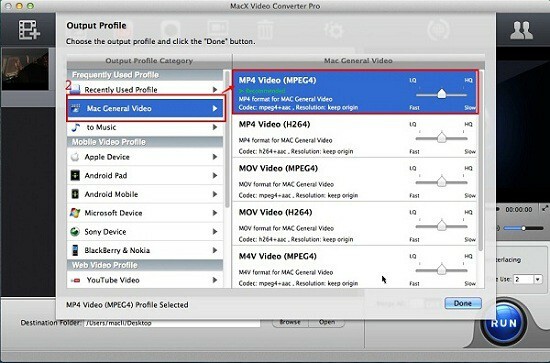 That is MacX Video Converter Pro. This all-in-one video converter enables you to convert any video to Facebook supported videos such as MP4, FLV, AVI, WMV, MKV, 3GP, etc to fix Facebook video incompatibility problem. If your FB video problem is the big video file size, a piece of cake to this video converter, it works as quite a monster in video compression task, allowing you to compress and reduce video file size via its video codec conversion feature like compress MKV to MP4, FLV or AVI, etc. smaller-sized video formats or its video editing feature ( cut off the unwanted parts of video to shorten video length, crop the black bars of video, adjust video parameter settings, etc.). All these video compression processes will not do harm on your video quality. And it's also warmly welcomed because of its Facebook video download feature: capable of free downloading video from Facebook with 360 degree VR video, 4K UHD, 1080p, 720p, 3D Blu Ray video, etc. in batch. Step 1: Free download this top cover-all Facebook video converter, load the video you'd like to upload to Facebook by hitting "Add File" button. Step 2: Select a video format for Facebook as the output format such as MP4, MPEG, FLV, AVI, WMV, 3GP, MKV etc. Or you can choose "to Facebook Video" directly. Note: You can also tweak the video/audio parameters like resolutions, size, aspect ratio etc to qualify your videos. Step 4: Click the "RUN" button to start converting video to Facebook on Mac. Then you can start the process of posting. Note: As a matter of fact, this Facebook video converter also supports you to free download and convert Facebook video to MP4, MOV, AVI, MKV, FB to MP3, AAC, etc. 180+ video and 14+ audio formats. Step 1 - How to post a video on Facebook successfully? First of all, a Facebook account is essential. 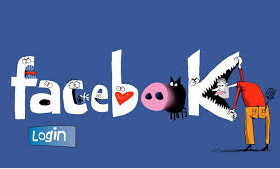 Sign in the Facebook home page if you have an account or create one and sign in. Step 2 - Click "Profile" to get inside your personal page and click "Video". Step 3 -Click "Upload" button. Then click the "Choose" button and find the video you just converted to Facebook format and click it. The mobile device uploading process is similar, you can just follow the direction to finish the job.